With apologies to the Bard of Avon and his character Hamlet, the above-misquoted Prince of Denmark, we bring to your attention the most recent article by our good friend Howard Wolinsky on issues related to prostate cancer. Howard’s latest article on the MedPage Today web site is actually entitled, “Digital rectal exams: worth the trouble?” It seems highly unlikely that either Hamlet or Shakespeare was ever told by his doctor that he needed a DRE. Now we don’t always agree with Howard about everything (although we agree about a good deal), and this may be one of those times when we are not in full agreement. Howard appears to fall into the second group. Your sitemaster — who has probably had about 20 DREs conducted by his primary care physician over the past 20 or so years (at annual check-ups) — falls into the third group. There is no good evidence whatsoever to suggest that — since the availability of PSA testing in the 1980s — having a DRE increases the probability of early diagnosis of prostate cancer for the vast majority of men. There is a lot of evidence that what physicians actually thinks he or she feels on a DRE varies vastly from physician to physician. DREs are very definitely an “uncomfortable subject, one tinged with grade-school sniggers and embarrassed red faces” for the majority of men. The suggestion that every man over 50 should be getting a DRE as an essential part of his annual check-up and as a part of “screening” for prostate cancer is ridiculous and unjustifiable on the basis of any available data. For that small subset of men, the DRE is a critical diagnostic test. So should all men over 45 or so be getting DREs on an annual basis? No. It can’t be justified. But, as usual, we don’t see this as an “all or nothing” issue. For the two sets of men who are either unbothered by the DRE or willing to put up with it, it might just save a few lives, really; and so, also as usual, we have a compromise opinion. The DRE is a test that physicians should offer to their patients, noting that it is not essential but that it can, occasionally, have results that are critically important. No physician should insist on giving this test to a man at no other particular or well-defined risk for prostate cancer. There are much more accurate tests available today, but even most of those aren’t necessary annually for the majority of men. We should add that the role of the DRE in the monitoring of men on active surveillance (like Howard) or after certain types of treatment for prostate cancer is a little more complex because having a DRE may be relevant to the need for a repeat biopsy, but it seems to your sitemaster that the same general guidance would apply. I’m a prostate cancer survivor. In the summer of 2013 during a routine yearly medical checkup, my internist performed a digital rectal exam (DRE) and felt what he described as a hard nodule on my prostate. My PSA was only 1.6 ng/ml, which was well below the age-adjusted threshold for concern for someone age 63, which is a PSA < 4.5. Without the abnormal DRE, I would never have been sent to a urologist and ultimately undergone a biopsy with a PSA of only 1.6. The short story is that after the biopsy I was diagnosed with Gleason 6 prostate cancer Stage I, in one of the two lobes of the prostate. In November 2013 I had a robot-assisted laparoscopic prostatechtomy. My final pathology showed Gleason 7 prostate cancer in both lobes of the prostate. It was now Stage II adenocarcinoma of the prostate. Without the DRE by my internist, I would unknowingly still be walking around with Stage II prostate cancer perhaps progressing to Stage III. Since my prostate cancer diagnosis and surgery, I have been urging men to make certain that during their yearly medical checkups, they have their doctors give them a DRE. I would explain to them what happened to me and that without that DRE no red flag would have been waved and who knows if it would have been discovered in time. You see my dad died of prostate cancer at age 66 in 1978 and from initial presentation to a doctor till his passing took less than 1 year. My case is not an isolated one. I have received similar stories from many men describing how, without a digital rectal exam, they too would have gone undiagnosed and generally with a higher grade of prostate cancer. We may be "a small subset", but we exist. Food for thought! I like to think of it as “the fickle finger of fate.” And because prostate cancer detection and treatment is such a weird science, anything that can save lives should not be discarded summarily. (1) Some cancers do not increase one’s PSA, so unless a man wishes to have annual biopsies, the uncomfortable DRE is the only way to potentially discover such anomalies. “Potentially” because doing an informative DRE depends upon the skill and digital dexterity of the doctor. (2) One’s PSA can be a function of prostate size, as benign prostate tissue may produce from 0.1 to 0.15 ng/ml of PSA per cubic centimeter of prostate tissue. 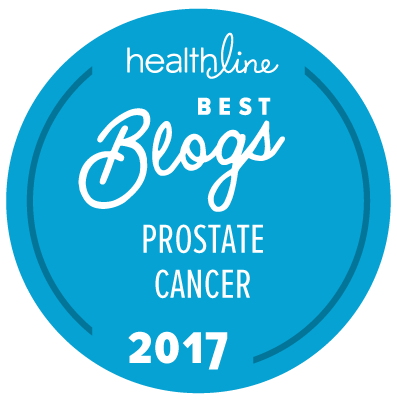 Unless a man is willing to have an annual ultrasound or MRI, the DRE is the only way to at least estimate the prostate size to evaluate a potentially abnormal PSA. Nice job, Shakespeare. Actually, I am unbothered by the DRE. But I think it was worth discussing because I know some men don’t like it. I spoke to a couple doctors about it. Actually three. One, an academic at the Cleveland Clinic, said he thought we could dispense with it. The other two felt it was important. In my case a DRE did not find my Gleason 9, stage pT3b prostate cancer because no prostate cancer existed in the small area of the prostate reached with this exam. So IMHO it’s a bogus, painful, humiliating, worthless exam. I seem to recall a Canadian study last year — maybe a meta-study, that found no value in DREs. Anecdotally, my issue lies around men with aggressive disease who make minimal PSA. There are men like that. I have a good friend I have been supporting for 10 years who had a PSA of 1.6 on diagnosis, and was found to have Gleason 4 + 4 disease based on post-RP pathology. Since surgery, his PSA has increased in small amounts to this day; it is still less than 0.2. It is clear to me that for some men a DRE does serve its purpose; moreover, while subjective, the test does not involve anything more than the invasion of personal privacy that many women are subjected to annually. My suggestion to men who decline a DRE is to at least get a PSA test — and hope you make PSA normally. In my 22+ years as a mentor to prostate cancer patients and their caregivers, I have known of several (albeit not multitudes) who, despite having low PSA level that would appear to not warrant a DRE, when the DRE was administered, hardness and/or nodules were found, indicating further concern to determine actual prostate cancer activity. Among these men were those with already advanced prostate cancer. I personally find it ridiculous that grown men abhor the DRE. It costs them nothing, takes only a few minutes, is not that uncomfortable, and might save them from finding later that, by not having had the DRE earlier, they were then found to have metastasized/advanced prostate cancer that could shorten their lives. My situation was similar to Jody’s, and although I was thankfully found to have only Gleason 6 (so far…), without the gentle ministrations of my urologist this would never have come to light. My internists have been doing this to me for years and I’ve always found it neither painful nor humiliating. It’s 10 seconds of your life. Compared to harboring more serious cancer that you might otherwise not find, it’s the quintessential no brainer. The DRE is what caught my Gleason 8 prostate cancer. The PSA was still very low but rising and standard protocol at the time would have been wait until the next annual physical and rerun the PSA test. I’d be dead now if we had done that. The DRE is simple and easy. I don’t understand how such a debate exists over something that can save a life.